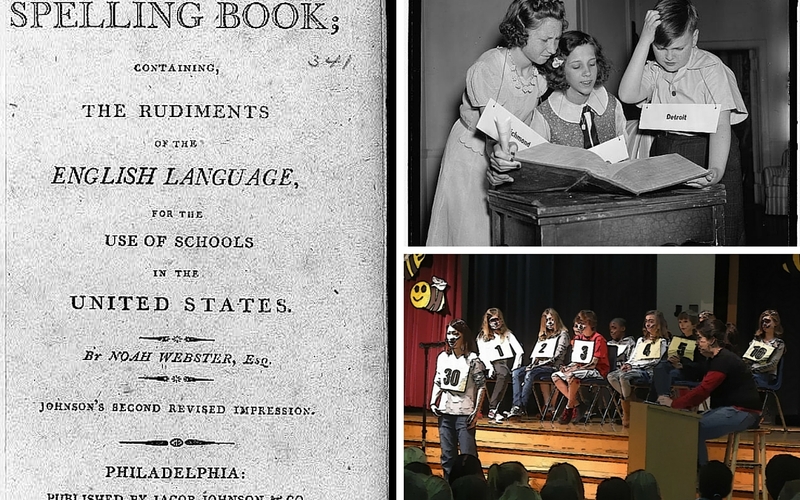 By the end of the 19th Century a movement was taking root in America with the goal of simplifying the spelling of English words through the adoption of standardized rules like those used in many other languages. The adoption of shorter and easier spellings has been an ongoing part of the spread of English around the world. Nobody in the 19th Century would have demanded that their children be taught to read and spell exclusively in the spelling and grammatical styles of Chaucer or Shakespeare. However, when American intellectuals and industrialists tried to speed up the evolution of the English language along the path it had been on for 800 years, they discovered that many people in the United States and the United Kingdom were deeply attached to the bizarre and idiosyncratic aspects of our common tongue. 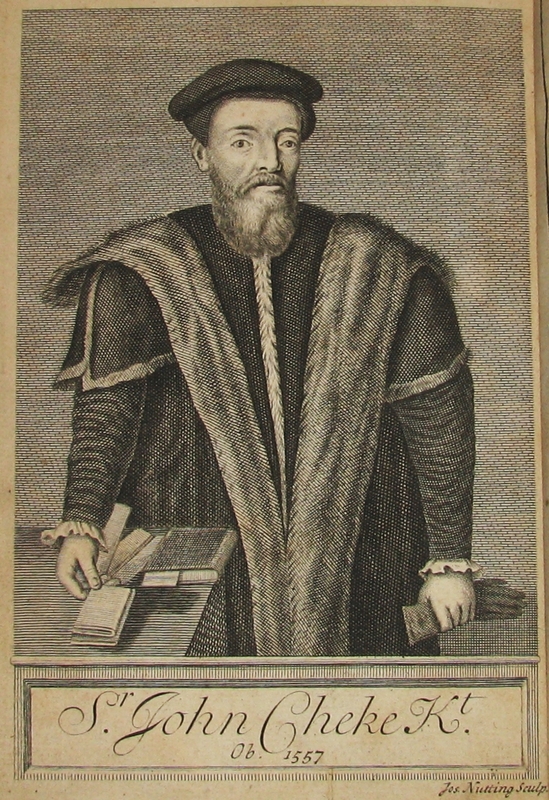 As early as 1554 John Hart wrote a book on the “unreasonable writing of our English tongue”, and 15 years later he published “An Orthographic” containing his proposals for the improvement of English spelling. In the meantime, Sir John Cheke (1557) and Sir Thomas Smith (1568), both secretaries of state of Edward VI, advocated radical reforms in spelling. Smith proposed an alphabet consisting of 37 characters. William Bullokar (1580) also suggested an alphabet of 37 characters; Dr. Gill, a celebrated master of St. Paul’s School in London, suggested a 40 letter alphebet in 1619; and in 1633, Bishop Wilkins proposed yet another with 37 symbols. James Howell, in his “Grammar” (1662), urged a number of simplifications in spelling, some of which such as honor for honour, logic for logique, sin for sinne, war for warre, bodily for bodilie, bear for beare, wit for witt, and their analogs are now in general usage; while others bel for bell, tru for true, etc. are still regarded by many as radical innovations. 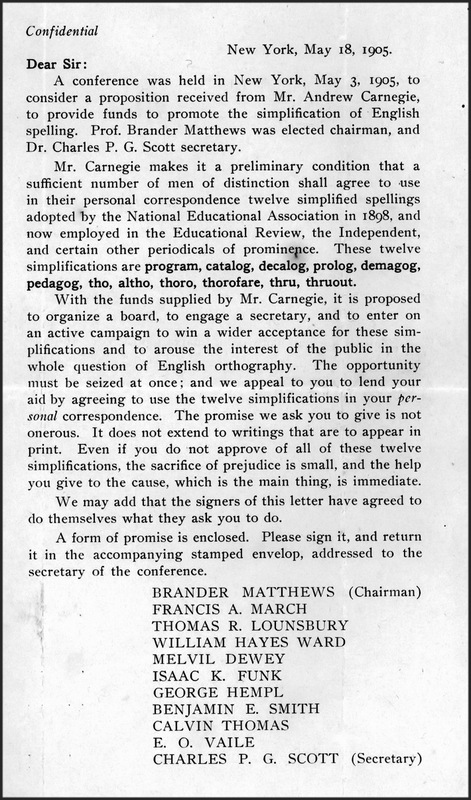 In 1875 the American Philological Association appointed a committee consisting of faculty from Lafayette College, Yale, University of Pennsylvania, and Harvard, to consider the whole subject of the reform of English spelling. The Association made many recommendations based on reports by this committee. 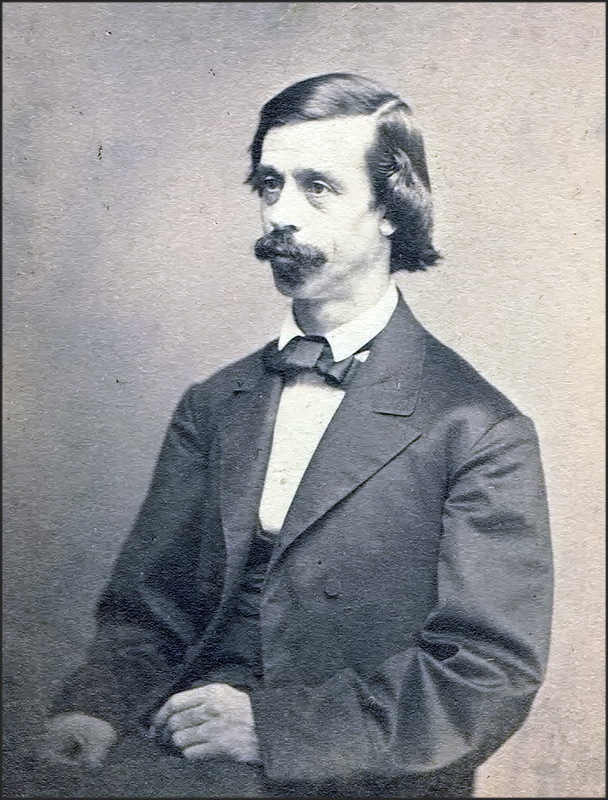 The organization president at that time was author, librarian, and scholar James Hammond Trumbull♥. An International Convention for the Amendment of English Orthografy was held in Philadelphia on August 14-17 in 1876. The conference goal was “to settle upon some satisfactory plan of labor for the prosecution of the work so happily begun by the American Philological Association and various other educational associations in this country and England”. The attendance was high among both British and American scholars. The members of the convention organized as a Spelling Reform Association and both annual and quarterly meetings were scheduled. Membership grew quickly among academic and educational philanthropic circles. The recommendations of the American Philological Association were eventually adopted. These included many simplifications of spelling. A special list of 11 words: ar, catalog, definit, gard, giv, hav, infinit, liv, tho, thru, wisht, was approved for immediate use, with particular emphasis on hav, giv, liv. 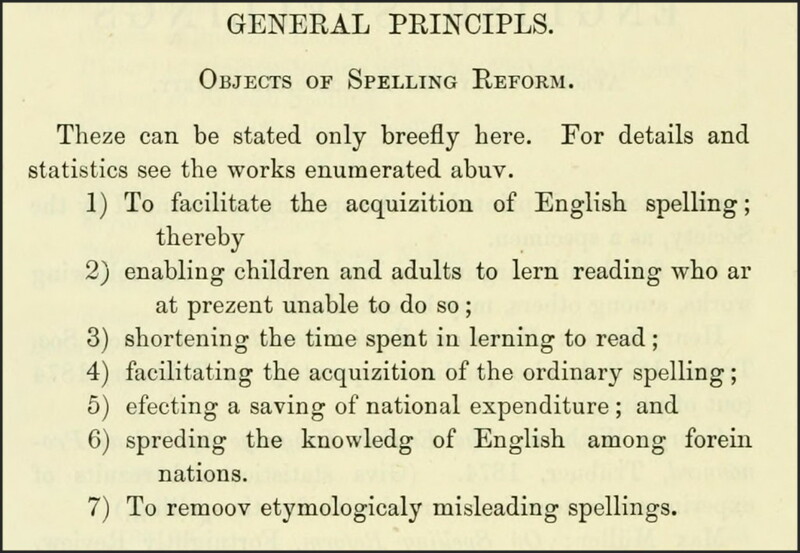 By 1880, the reform of English spelling had been endorsed by several State Teachers’ Associations, by many influential journals, and by eminent scholars from among the leadership of Columbia, Yale, Johns Hopkins, and Harvard. That year, the Philological Society recommended many changes in the spelling of English words in a pamphlet entitled “Partial corrections of English spellings aproovd by the Philological Society”. This 56 page booklet can be read online here. I highly recommend reading a few pages of it because it incorporates its own spelling recommendations so it provides a nice example of what we would be reading now if the movement had succeeded. In 1898, the National Education Association gave its approval to the movement by adopting a a set of simplified spellings known as the Twelve Words: Catalog, decalog, demagog, pedagog, prolog, program, tho, altho, thoro, thorofare, thru, thruout. That year the organization began using them in its publications. In 1916 the N.E.A. also adopted the rule for simplifying -ed to -t, when so “pronounst”, in past tenses of verbs. Unfortunately, while for decades the Spelling Reform Association had among its ranks the best scholarship in the country, it had only such funds as the members themselves could donate. It was not ‘enuf’ to carry on an effective campaign. On May 3, 1905 a small conference was held to consider a proposition from industrialist Andrew Carnegie. He offered to provide funds to promote the simplification of English spelling. Carnegie attached a preliminary condition to his bequest — that sufficient number of men of distinction shall agree to use the above mentioned Twelve Words in their personal correspondence. Understanding the difficulty this could cause for some of the people approached, it was stressed that the use of the words was only required in personal correspondence and that traditional spellings could be used in anything going into print. A form requesting the promised support of the reform efforts was circulating by May 18, 1905. A copy of its cover letter is shown below. The letter describes the structure of the organization planned to manage this new, well-funded enterprise. This was the birth of the Simplified Spelling Board.